It’s a great time of year to be in Clare County. The autumnal equinox (when the length of day and night are about equal) officially starts Sept. 22 and that’s about the time the colors really start a’changin in Clare County, Michigan, peaking in mid-October. Of course, whether the trees put on a full display before they go full Monty depends on the weather and the type of trees (warm days and cold nights make for the best color; maples do better than oaks; and wind and rain are bummers for fall colors). 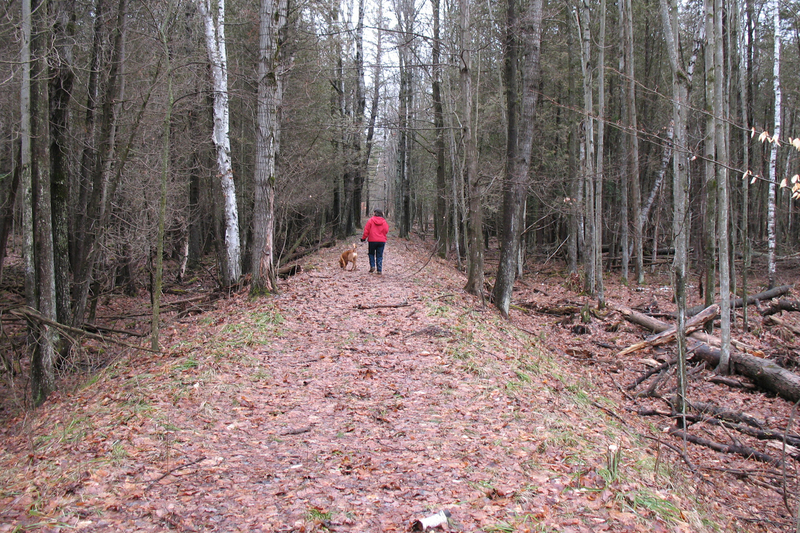 To help you get the best our mid-Michigan county has to offer, the Clare County Historical Society and Farwell Area Historical Museum have created two new fall color tours, one to highlight the Clare-Harrison section of the county and the other that takes folks to the Farwell-Lake George area. Both can be found on the clarecountyhistory.org website. Just click Fall Color Tours. They are self-driving tours on paved roads and both offer opportunities for hiking, walking and biking since the best way to see Clare County is to be immersed in Clare County. Although the tours are works in progress, we hope you find them useful. In any event, we’d like to know what you think. Contact us at museum@clarecountyhistory.org. BTW, the U.S. Forest Service has a new website: Fall Color 2013, to follow the progression of color across the country. 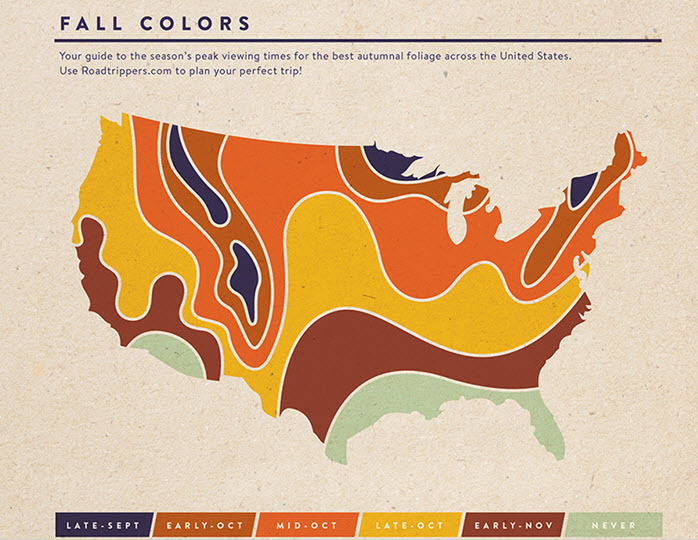 There’s also this nice map from RoadTripper.com that shows the general timeframe for colors across the country.